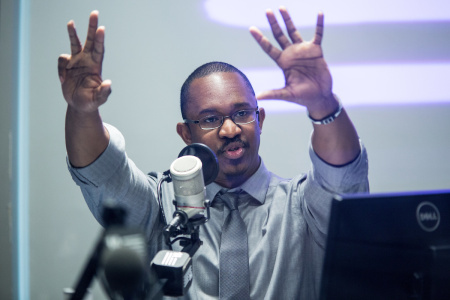 Magnin Auditorium - Skirball Cultural Center | Tuesday, January 15, 8:00pm - 9:30pm Join “1A” host Joshua Johnson for some much-needed conversation as we explore the complicated relationship between California and the nation — from politics to the economy, innovation, and immigration. The Crawford Family Forum | Thursday, December 13, 7:00pm - 8:30pm The first years of life are extremely important for children’s brains. Our understanding of the brain and child development seems to expand by the minute. There’s a constant flow of new research and information about how to raise and teach young children. Fortunately, many of the child development experts championing this research live in Southern California. 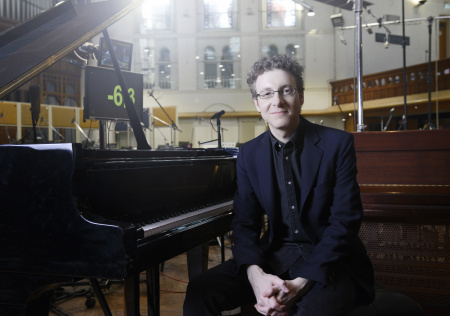 The Crawford Family Forum | Thursday, December 6, 5:00pm - 6:00pm “The Frame” host John Horn is sitting down at the piano with Academy Award-nominated composer, pianist, and producer Nicholas Britell. KPCC In Person and “The Frame” invite you to join us for an intimate, hour-long conversation with the innovative composer. Glenn Wallichs Theatre, University of Redlands | Tuesday, December 4, 7:30pm - 9:00pm The Inland Empire hasn’t traditionally been known as a cultural melting pot. But things are changing, at least in part thanks to the two-county region’s affordable housing and economic opportunities. 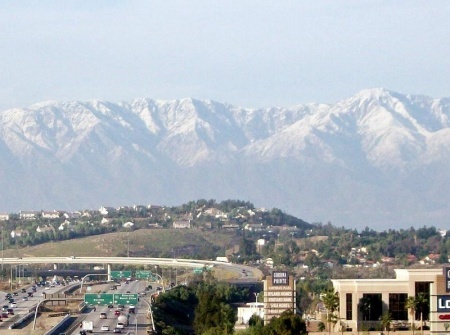 Now, one in five Inland Empire residents is foreign born, according to a study by UC Riverside’s Center for Social Innovation. The Theatre at Ace Hotel | Sunday, December 2, 1:00pm - 3:00pm The era of the silent film made way for sound and talkies in 1929, which was the first and last year a silent film won best picture at the Academy Awards. 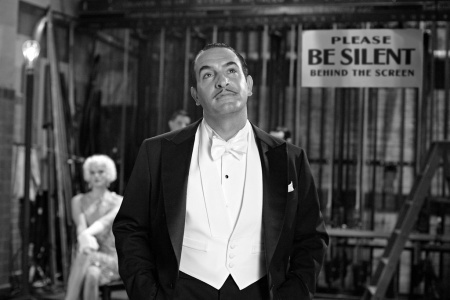 That is until Michel Hazanavicius’s 2011 film “The Artist,” a love letter in the style of those black-and-white silent movies, won best picture – along with four other Academy Awards, three Golden Globes, seven BAFTAs, and a slew of other critical honors. The Theatre at Ace Hotel | Saturday, November 17, 7:00pm - 9:00pm There are shows with storytelling, and then there’s storytelling…with a beat. 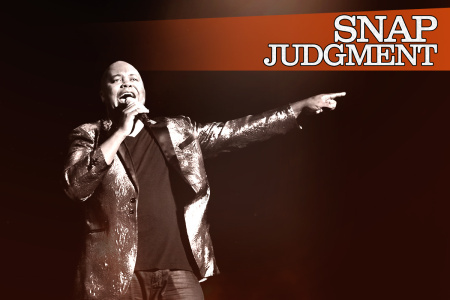 Join Snap Judgment host Glynn Washington and KPCC In Person on Saturday, November 17, at The Theatre at Ace Hotel. 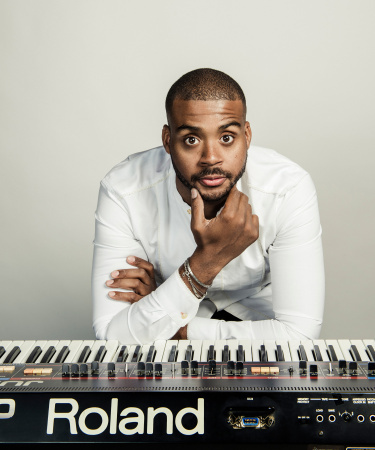 The Crawford Family Forum | Friday, November 16, 3:00pm - 4:00pm “The Frame” host John Horn is sitting down at the piano with celebrated composer Kris Bowers, one of Hollywood’s fastest-rising stars and the man behind the music of the acclaimed new movie “Green Book. 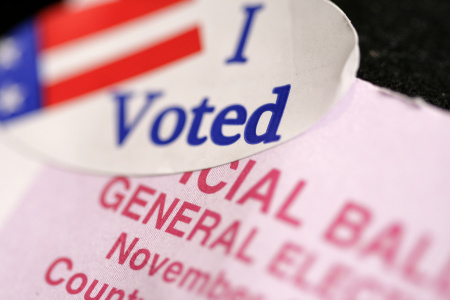 The Crawford Family Forum | Tuesday, November 6, 7:00am - 2:00pm You prepared with the KPCC + LAist Voter Game Plan, you caught up on all the statewide propositions with our Voter Cram Session, and you cast your ballot. Join us at our Crawford Family Forum in Pasadena for some Election Day refreshments and casual conversation on November 6. 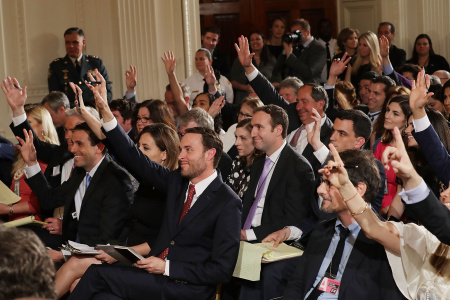 Sandhu Center, Chapman University | Tuesday, October 30, 7:00pm - 8:30pm The runup to the consequential 2018 midterm election has been fraught with ugly confrontations, nasty campaign ads, and a confirmation showdown that captured the nation’s attention. 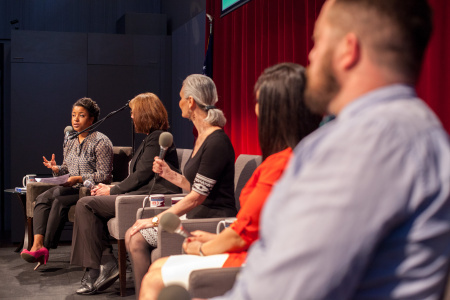 KPCC's Mohn Broadcast Center/Crawford Family Forum | Sunday, October 21, 11:00am - 4:00pm Join us on October 21, 2018 for KPCC’s Community Open House! 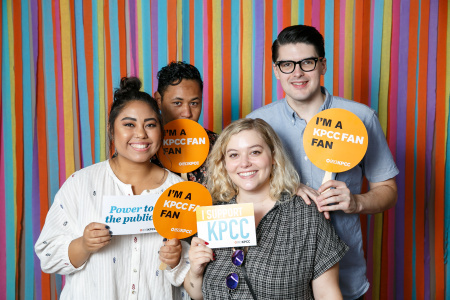 Take photos with your favorite KPCC hosts and reporters, meet and mingle with fellow public radio fans, connect with community partners, enter to win giveaways, tour the broadcast studios, and much more.